Did you know that approximately 30 million people in the United States have diabetes? That’s nearly 10 percent. What’s more is that 8.1 million people who have diabetes aren’t aware of it. 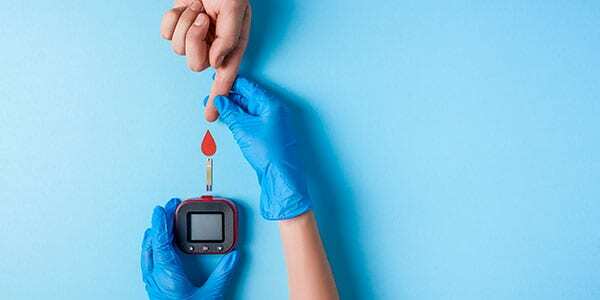 According to a 2017 Centers for Disease Control and Prevention report, one in four individuals living with diabetes didn’t know they had the condition. Since November is Diabetes Awareness Month, we reached out to an individual who advocates for and researches both types of diabetes: Type 1 diabetes (T1D) and type 2 diabetes (T2D). Karli Gunn, a pharmacy student at Drake University in Des Moines, Iowa, has been living with T1D since she was 10 years old. Karli’s school nurse recommended she see a doctor after losing 15 pounds, which is extremely abnormal for a fourth grader. What started as four shots of insulin per day (sometimes more depending on what she ate) turned into an insulin pump which emitted insulin 24 hours/7 days per week to keep her alive. “If something went wrong with it, I got really sick really quick,” Karli said. In 2007, Karli traveled to Capitol Hill to share her story as one of the 150 kids in the Juvenile Diabetes Research Foundation Children’s Congress. Now, Karli serves on the Board of Directors for the JDRF Greater Iowa chapter and uses her own experience with T1D to mentor and advise families who have received a diabetes diagnosis. “I’ve had the opportunity to mentor other families that are just starting out with diabetes, sharing my experience to help them understand the stages and aspects of the condition,” Karli said. Through JDRF, Karli volunteers at the annual JDRF One Walk and was also on a committee for the Greater Iowa chapter’s TypeOneNation Summit event that took place earlier this month. She saw Sola at both events this year and attended one of Chef Ryan Turner’s cooking presentations where he made Low-Carb Chocolate Waffles with Delicious Chocolate Sauce for attendees. Karli’s diagnosis and passion for helping others with the disease has also led her to pursue a career in pharmacy. Drake University’s diabetes concentration has allowed her to focus on diabetes research. Karli began her own research in family support, looking at how a diabetes diagnosis can affect a family. With more people trying a keto or low-carb diet, it’s important to have simple food choices that go along with a healthier lifestyle. Karli said one of the biggest challenges in the wholesome health food market is finding a product that’s affordable. Sola products can be found in Hy-Vee stores, HEB, Meijer, Jewel-Osco and Harris Teeter. They are also available for online purchase through Amazon. Sola’s patent-pending sweetener is diabetic friendly and offers a sugar substitute for cooking and baking. It tastes, bakes and measures just like the real stuff. Karli said by replacing food choices in your diet and maintaining an exercise routine, you can manage your weight and nutrition. She notes weight loss is especially important for T2D individuals since the disease presents itself later in adult life. Whether you have diabetes or you’re trying to live a healthier life, watching your carb and sugar intake can make all the difference.